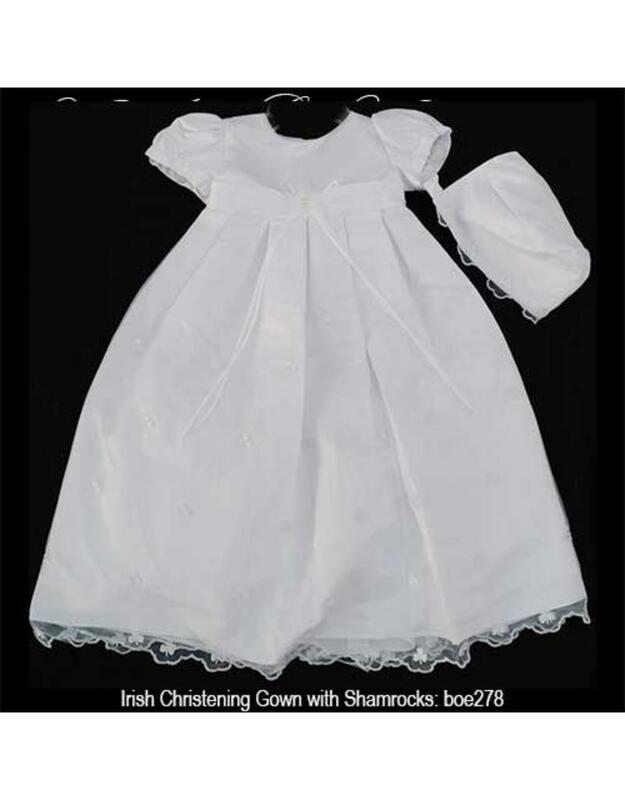 Dress your little lass in this Irish christening gown, which artfully symbolizes purity, joy, faith and new life with an Irish flair. 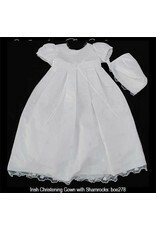 White embroidered shamrocks throughout the long, flowing skirt symbolize the Trinity of Father, Son and Holy Spirit. Polyester lining, nylon and polyester outer shell. Size 0-3 months, 6-9 months and 12-18 months.